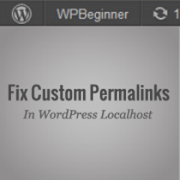 A problem that several of our users encountered with their local server installations of WordPress was that they couldn’t get permalink rewrite rules to work. Whenever they tried enabling custom permalinks all of their posts and pages would show “page not found” errors. In order to fix this you need to turn on the rewrite module in you WAMP, XAMPP, or MAMP installation. Start by finding the WAMP icon in your taskbar. Navigate to Apache » Apache modules. This will bring up a long list of modules that you can toggle on and off. 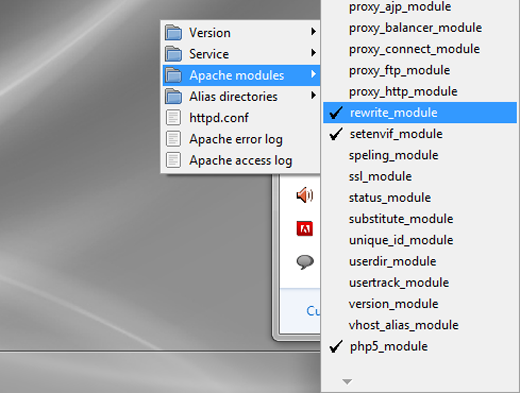 Find the one called “rewrite_module” and click it so that it is checked. After doing this your custom permalink structures should work immediately. The re_write module is already checked in mine. Yet I am unable to use any other permalink structures aside from the default wordpress option. though It is already ticked in my apache config, still thanks a lot for the tip. Thank you for the tip: In wamp Apache Modules I checked rewrite_module, and the error is gone! I installed wordpress on xampp webserver. Custom permalinks work, but they are extremely slow (10-15 seconds) for a page to load, while page load time with the default permalinks is only 2-3 seconds! Has anyone experienced this? The requested URL /hotel was not found on this server. I read above but I can’t find were to access the apache file on the Hostalia control panel – please if anyone can help!!! Please try updating your permalinks first. I have that same problem, also with hostalia. Could you solve it? any tips? Hey I got a little problem. 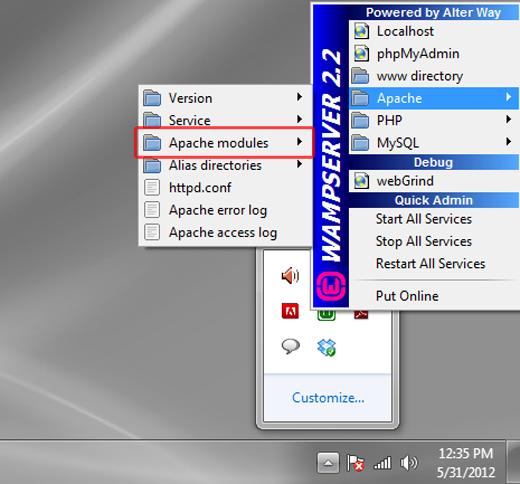 I am using Mamp server and here I cant find from where to access the apache modules. Perhaps it is a bit different from Wamp. that’s working with me!! thank you So much. This Pretty Permalink thing in WordPress is not pretty at all!!! It’s getting quite ugly! This is all Apache. Do you have a fix for a Windows 2012R2 (using iis) server? Thanks. it worked like a charm. Until I saw your post, it took my several hours. Many thanks…. Finally ! It works ! A big thanks to you! 404 Error is solved ! thanks Dude, It just work fine!! i am just learning the wordpress, breaking my head for this error. You made my day syed. Thanks a ton!!! Please accept a warm hug from me!!! Thank you. what about nginx? i am using wnmp which uses nginx. Thanks! After trying various suggestions through Google, this is the only one that showed exactly what to do on the localhost server. Replace YOU and DIRECTORY with your Windows username and the path to your local WordPress directory respectively. Thanks a lot mate!! Saved a couple of hours of my effort. THANK YOU! Couldn’t find one sigle youtube video on how to properly do that! WP needs to show a hint on the perma-link. I almost considered switching out of WP after spending 2 hours on this issue. Finally a solution that works. Thanks a lot! Thanks a lot. it was very simple! I’m on MAMP and find that this solution won’t work with it. i tried to edit both .htaccess and httpd.conf file but no success. One more thing, if I’m logged in as admin on localhost all my single post pages works fine, buy as normal user or when i log out it gives 404 error. Thank you very much! This was helpfull!!! Good lord almighty. 18 hours of straight hair pulling nonsense fixed with a single click. Thank you. Clear instruction with images . Easy to follow. Thank you. Thank you very much… Finally find a solution for permalink.. Thanks for the information! It worked fine. Gracias por la información! Funcionó muy bien.